We know how Dragon Quest IX the game did in Japan. It did great, selling 2.3 million copies. But how did Dragon Quest IX the guide book do? 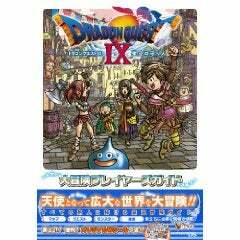 Walk-thru book Dragon Quest IX: Defenders of the Starry Sky NDS Version Big Adventure Player Guide is the number one selling book on the Japanese Oricon charts. In its first two days on sale, the book moved 198,127 copies, making it the first game book to hit number one since Pocket Monster Platinum Official Complete Clear Guide dropped last October.